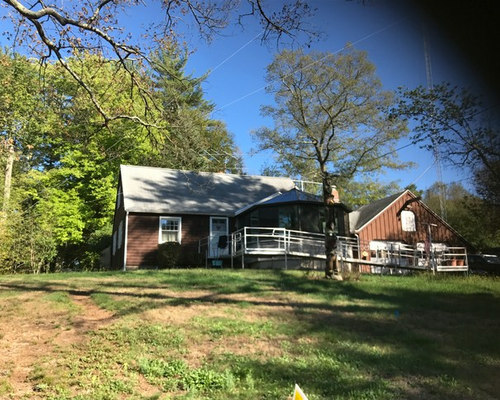 This traditional, classic 14’ x 15’ Four Seasons Sunroom Victorian Conservatory sits proudly on the front of the sunny south side of this New England Cape Cod style home. 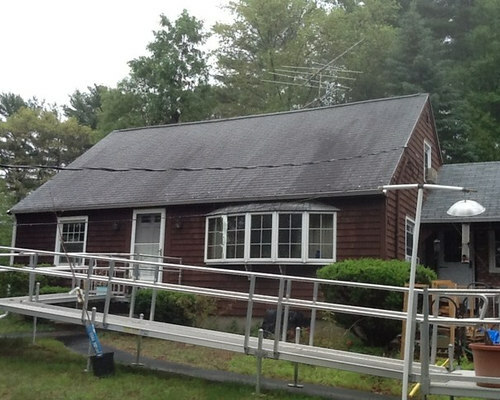 The homeowners needed the new sunroom space to be designed around the handicapped ramp to make the transition from the adjacent living room the same level for easy access This was done by replacing a bay window with an elegant 9’ wide French door. 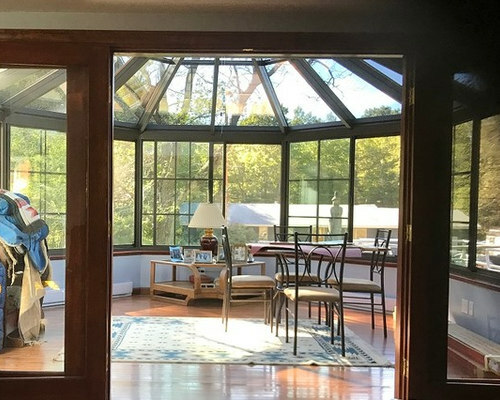 Along with removal of walls in the kitchen, the new sunroom opens up the dark house with a cheery new sense of light and warmth… an amazing transformation for the whole house. The warm wood floors, wood framed knee-wall, bronze color framing, paddle fan with light all help make a warm, cozy design that improves the overall look of the property. The patented energy efficient technology of Four Seasons Sunroom's Conserva-Glass Select, keep the space warm and cozy in winter and cool and breezy in summer. New England Sunrooms has another happy customer enjoying a Four Seasons Sunroom Victorian Conservatory Paradise. 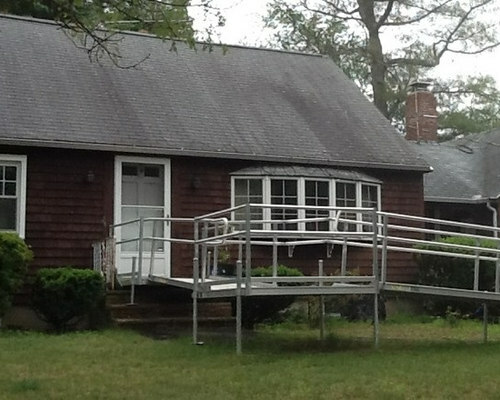 The homeowners of this New England Cape Cod style needed to add a space designed with the ramp in mind to help make the transition from the adjacent living room floor on the same level for easy access. 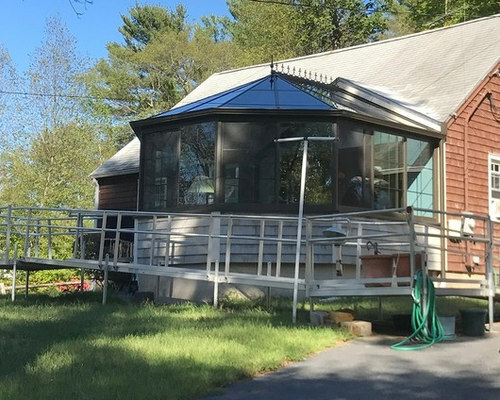 The homeowners needed the new sunroom space to be designed around the handicapped ramp to make the transition from the adjacent living room the same level for easy access This was done by replacing a bay window with an elegant 9’ wide French door.